We are highly affianced in manufacturing, supplying, wholesaling and trading a wide assortment of Electrical Accessories to our customers. These Electrical Accessories are available at most competitive prices. Empower your business with profitable efficiencyYou base your business on efficiency and performance. You know that everything counts to make you more competitive. Our drives are made with all this in mind, empowering productivity and efficiency. 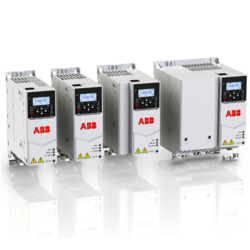 They provide flexibility to help you optimize your processes and control, and reliable for less downtime. You also get premium service and expertise, anywhere on the globe. The reverse power relay is a directional protective relay that prevents power from flowing in the reverse direction. The relay is used in installations where a generator runs in parallel with the utility or another generator so as to prevent power from the bus bar or another generator from flowing back to the active generator when its output fails. 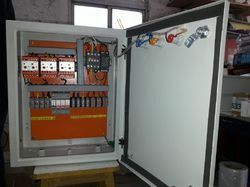 The relay monitors the power from the generator and in case the generator outputfalls below a preset value, it quickly disconnects the generator coil to avoid power from flowing into the stator coil. The generator output can fail due to problems with the prime mover, – turbine or engine that drives the generator, issues with speed controller, or different frequencies during synchronization. 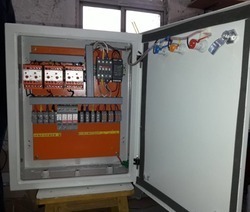 Reverse Power Relay Panel Manufacturer in India. 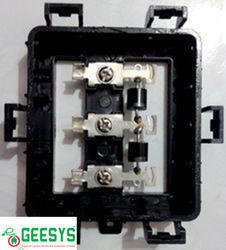 We have Best Reverse Relay Panel in India. RPR Panel available in Chennai. 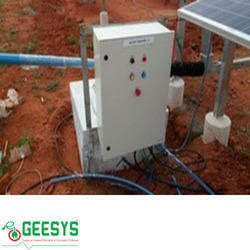 GEESYS Solar ACDB with 1. Reverse Power Protection 2. Low and High Voltage Protection. 3. Phase Failure Protection. 4. Phase Reversal Protection. 5. Overload and Short circuit Protection. 6. 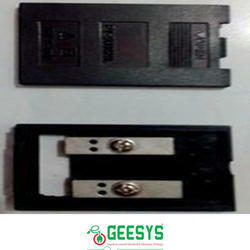 Over Voltage Protection Are inbuilt with GEESYS ACDB. 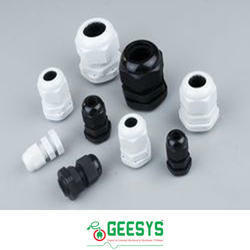 These PG Cable Glands are used where protection against dust, water, strain vibrasion is required. This is also called as liquied tight glands. 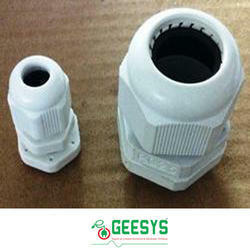 These glands are used specially in measuring controlling instruments, machineries, system manufacturing. 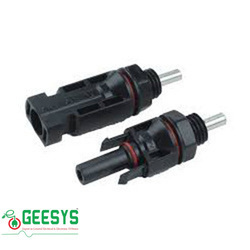 Sibass PG Cable Glands are used for outdoor installation and harsh environments. It is used for cable and conduit entry. 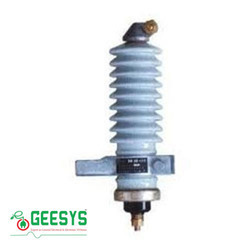 Since commencement, our company has set benchmark in offering high quality Lighting Arrester. 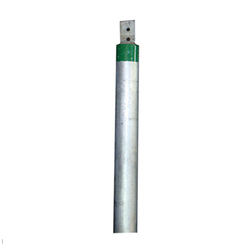 Our company has gained immense experience in the field of offering fine quality range of Earthing Electrode. Backed by modern amenities, we are engaged in offering Solar MC4 Cable Connectors. 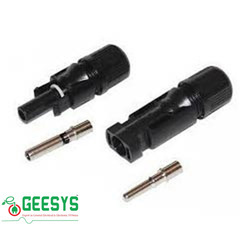 Our offered connector is a single-contact connector commonly used for connecting photovoltaic panels. It incorporates a flexible watertight seal and is supplied as Sets of 'male' and 'female' type. Leveraging over the skills of our qualified team of professionals, we are instrumental in offering wide range of MC4 Panel Connector. We are engaged in offering our clients with an exclusive collection of PG Glands. These are in compliance with international standards and manufactured using precision techniques by our vendors. 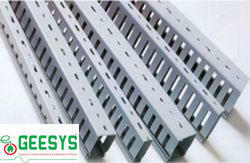 Our range is offered in various sizes, dimensions and specifications as per the clients’ specific requirements. Moreover, we offer these to our clients at competitive prices. Solar tracker panel solar array junction box solar string combiner box in india, solar string combiner box manufacturer in india, solar string combiner box manufacturer in chennai, solar ac distribution box, solar string combiner box in bangalore, solar string combiner box manufacturer in pune, solar string combiner box manufacturer in hyderabad, solar dcdb, solar dcdb in chennai, solar dcdb manufacturer in chennai, solar array junction box manufacturer in chennai, solar acdb manufacturer in india, solar combiner box in india, solar combiner box manufacturer in india, solar combiner box manufacturer in chennai, solar ac distribution box, solar string combiner box in kolkata, solar string combiner box manufacturer in ahemadabad, solar string combiner box manufacturer in mumbai, solar dcdb, solar dcdb in coimbatore, solar dcdb manufacturer in chennai, solar array junction box manufacturer in india, solar ac combiner box, solar accb, electrical lt power panel, electrical lt panel in chennai. solar acdb manufacturer in india solar array junction boxes, solar combiner boxes, solar string combiner boxes, solar string monitoring system, solar dcdb, solar acdb, solar array junction box in chennai, solar main junction box india, ajb, mjb, solar string junction boxes, distribution board, array junction box, combiner box, dcdb, acdb, solar ajb, string monitoring, solar pv array junction boxes, combiner junction boxes, solar precombiner boxes, solar ajb, solar mjb, dcdb, acdb, solar combiners, solar combiner box manufacturers, solar combiner box manufacturers in india, solar combiner boxes, combiner boxes for solar systems, solar panel combiner, solar string combiner box, string box, string combiner box, string boxes, string monitoring box, photovoltaic combiner box, array combiner box, solarbos combiner box, junction box manufacturers, main junction box, fuse junction box, photovoltaic junction box, array junction box, array junction box solar, solar array junction box, solar array junction box manufacturer, solar combiner box with disconnect, solar junction box, solar pv junction box, solar string junction box, string combiner boxes, array junction box, array junction boxes with string monitor, combiner box solar, solar string combiner box, geesys solar string combiner box, solar string combiner box in india, solar string combiner box manufacturer in india, solar string combiner box manufacturer in chennai, solar ac distribution box, solar string combiner box in bangalore, solar string combiner box manufacturer in pune, solar string combiner box manufacturer in hyderabad, solar dcdb, solar dcdb in chennai, solar dcdb manufacturer in chennai, solar array junction box manufacturer in chennai, solar acdb manufacturer in india, solar combiner box in india, solar combiner box manufacturer in india, solar combiner box manufacturer in chennai, solar ac distribution box, solar string combiner box in kolkata, solar string combiner box manufacturer in ahemadabad, solar string combiner box manufacturer in mumbai, solar dcdb, solar dcdb in coimbatore, solar dcdb manufacturer in chennai, solar array junction box manufacturer in india, solar ac combiner box, solar accb, electrical lt power panel, electrical lt panel in chennai. In a market scenario where people look for good quality multipurpose products, cables doesn't stand apart. That is precisely why Multicore Round Cables are much in demand today. GEESYS, keeping our commitment to customers in top priority has also ventured in to the production of these high-utility cables. Designed to power appliances/instruments like computers, communications, instrumentation, sound control, domestic industrial computers, security systems, audio and data transmission, these cables come in a diverse range and variety. They are competent enough to protect signal fidelity by reducing hum, noise, and crosstalk. Proved to be highly efficient in power and control applications, GEESYS Multicore Round Cables have every reason to stay up in consumer preferences across India. 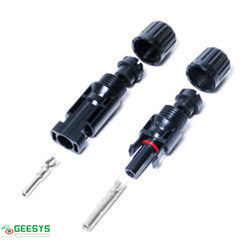 We are engaged in offering Solar MC-4 Y Connectors. 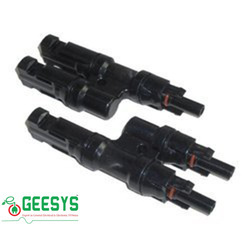 Our offered Connecters are commonly used for connecting photovoltaic panels. It incorporates a flexible watertight seal and is supplied as "Set" which comprises of male and female. Matching up with the requirements of our clients, we are involved in offering Solar MC-4 Connector. We are popular firms involved in offering an extensive range of MC4 Solar Connector to our esteemed patrons. 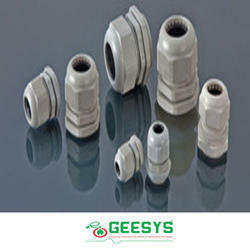 Offered connectors are precisely engineered and are generally used in various industrial sectors. Specially designed for terminations of DC cables. Connector types : Straight, Y-type connector etc. 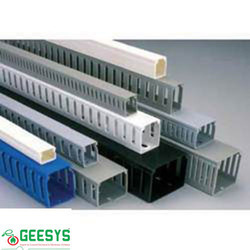 GEESYS Cable Ducts are known to be best option for installation of under floor or under ceiling covered cables and networking cables requirements in I.T sectors and other industries. The high performing cable raceways are made using Mild Steel IS 1079, Pre-Galvainised Sheet, that provide in them superior quality as well as durability. Cable Raceways are manufactured in Single, double or triple compartments, Triple Compartments are normally designed to distribute power, data and voice cables in separate compartments. Raw Material: Mild Steel IS 1079, Pre-Galvainised Sheet. Remarks: All Bends are made available as per Requirement. We are a well known firm engaged in manufacturing a wide assortment of Electric Wiring Channels Cable Ducts which are CE Marked for electrical control panels. These ensure complete protection to wires cables and facilitate systematic wiring. This helps in avoiding bunching and taping of wires. These 1 meter long wires are available in light grey color and are quick in tracing and rectifying faults in the wiring system. The Flexible Copper Single Core Cables are used for transmission of low voltage signals, electrical motors, DC power transformers, panel boards, battery cables etc. These flexible copper single core cables come with superior flexibility, adequate voltages resistance and are manufactured as per ISO standards. Our cables are soft annealed copper fine wires, bunched together in subunits or stranded bunched groups into a main unit, thus forming a flexible conductor. Description:- 1100 V Grade Multi Strand flexible annealed bare copper conductor, PVC Insulated and unsheathed single core flexible cables conforming to IS: 694 / 90. Application:- Highly flexible conductors with a great variety of industrial use such as cable harnesses, panel wiring and power generation. The Flexible Copper Multi Core Cables are used in machine tools, electrical appliances and control panels. In these cables, the insulated cores are laid up to form the core assembly. The inner cores are coded for the ease of identification as per national/ international coding practices. Here, the sheathing is provided with a specially formulated PVC compound to facilitate not only simplification in stripping, but also withstanding mechanical abrasion capacity while in operations. Description:- 1100 V Grade Multi Strand flexible annealed copper conductor, PVC Insulated and sheathed Multi - core flexible cables conforming to IS: 694 / 90. Our Specialty:- Till 19 cores we provide all different colors for easy identification. High flexible data cable for low frequency transmission application. Protection from external electromagnetic field ensuring excellent data transmission realiability. Coverage of copper screen braiding is more than 80%. Overall myler tape wrapping over cores improves Dielectric strength of the cable. Significant reduction in crosstalk and interference between the cores within the pair cable due to twisted pair in the instrumentation cable. Fine strands of ATC copper wire, PVC based core insulation, twisted in layers, overall myler tape wrapping, then screen braid of anneled tinned copper wire, outer PVC of speacial compound. In 0.5 sq mm and above additional Al - Myler tape screen provides additional EMI protection. Cores are coded with different colours, without colour repetition ensures easy identification as per dc deepcab Colour codeing standard chart. All Cores may be coded with different numbers grey in colours. Outer sheath of speacial based PVC compound. Many data transmission applictions and instrumentation applications. These control and signal cables are used in the milliampere range for computer systems, electronic control equipment, office machines, scales etc. and wherever the thinnest possible control cables are required. Electronic systems normally have little space available for cable installation. Cable is made especially for short distances and small bending radiuses. Direct reading without MF,Phase reversal indication. Latest ASIC and Microcontroller based digital technology. Meter Records correct energy with same accuracy under reverse current connection. Available with LCD type display. It is available in Single Phase, Two Wire accuracy class-1. Residential,Industrial and Commercial Complexes etc. 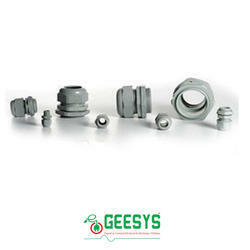 GEESYS has adopted the philosophy of striving for continuous product innovation. This is the first time in Elmeasure history to develop the device in tariff construction. Like all other Meter this also has lots of unique distinguishing properties. The design is completely microcontroller based thus provides effective solution to the electrical service providers. Most power distribution companies face major challenges in recovering electricity bills on time. ElMeasure has developed a unique Contactless Prepaid Energy Meter which acts as a direct revenue interface between power distribution companies and the consumers. Input voltage : 4 Voltage inputs (VR, VY, VB, VN); Programmable 110 or 415V LL Nominal (Range 80 to 550V LL), Primary Programmable up to 999 kV, Burden: 0.2VA Max. per phase. Communication : RS485 serial channel connection, Industry standard. Modbus RTU protocol (RS232 optional), Baud rate : 1200 bps to 19200 bps. (Preferred 9600 bps), Isolation : 2000 volts AC isolation for 1 minute between communication and other circuits. This is flush mounting micro controller based instrument with multilayer PCB having SMT components offering accuracy and reliability along with reduction in EMI and EMC interference. These are specially designed to simultaneously measure, display and communicate several electrical parameters. 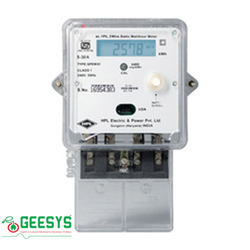 This meter is an Ideal data source for effective Energy management, SCADA, PLC, BMS etc to measure as many as 36 parameters on 23 display pages, which are true RMS. The readings are displayed on 3 line bright Red 7 segment LED, each row/ line having 4 14.2mm high LEDS. There are Various Load Managers or Multi Function Meters developed by Elmeasure which to read true RMS, user programmable with Password tamper proof. 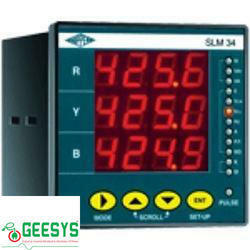 Meters comes with 4 line, 3 line and single display in LED and LCD versions. 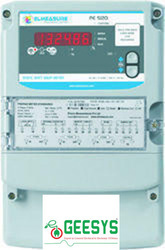 The higher end meters which have optional control features offer the user very cost effective protections against electrical or equipment abnormalities. 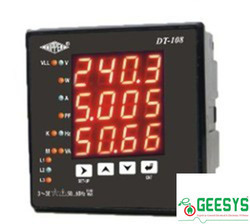 The lower end Multifunction meters are offered in half DIN size size in addition to all other products being available in DIN size. In control panel to control different electrical loads. 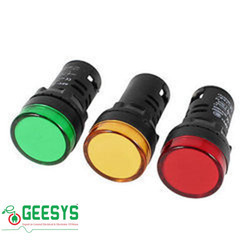 By utilizing modern equipments and latest technologies, we are engaged in manufacturing and exporting a wide range Indicating Lights. These are well equipped and ensure long lasting service life. All these indicators are finely designed and offer high level of performance with accurate results. LED Indicator are used as indicating, warning, accidental signals and other signals of instrument circuits in the areas of electric power.